Those of you who live in Tokyo and watch lots of TV might already have heard of this new craze in Tokyo. 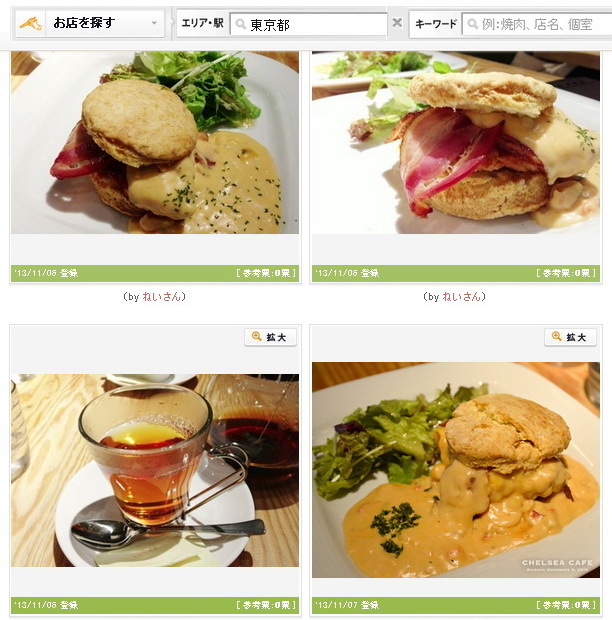 It’s the biscuit sandwich menu from Chelsea cafe (famous TV location is at Shibuya Mark City branch)! Let’s follow this and know a bit more about it! 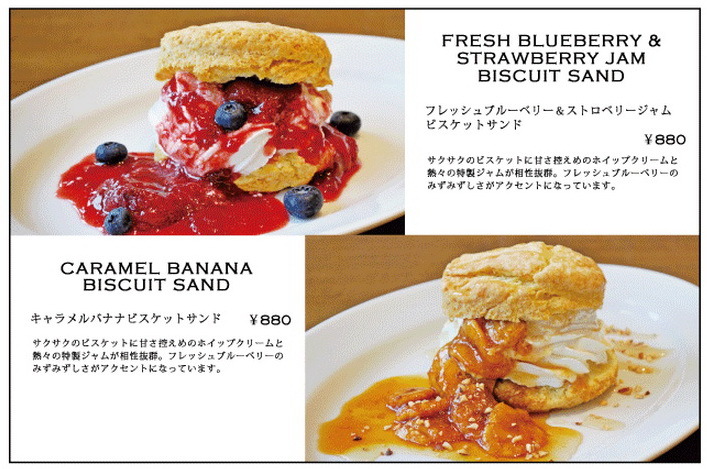 Okay, maybe the same “Chelsea Cafe the Biscuit Sand” might sound a bit weird in the end as the full name should be Sandwich instead of Sand (which is directly and literally derived from “San-do” in Japanese). But I believe the name doesn’t really matter if you were there at the table looking at the plates on your nearby table. This signature dish is special in that it doesn’t use BREAD that’s normally associated with sandwich, instead it uses biscuits to give you the crispy and cracking sound you want at your first bite. This menu came about from Portland, US, itself, and made a big sensation in Japan recently. Let’s look closer at the main star: American biscuits filled with juicy original chicken nuggets, crispy fried bacon, and melting cheese, topped with creamy shrimp sauce AND paired with a big plate of salad. All for 980 yen?? in Tokyo?? This price sounds too good to be true for the amount. But then again…if this is what makes people queue in lines for hours, it is worth it. After making frequent appearances on so many TV programs from Nihon-Terebi (日本テレビ) like “shuu-ichi” 『シューイチ』on Sunday morning, 『スッキリ! !』and『ZIP』on Weekdays morning and 『はなまるマーケット』on TBS-Terebi (TBSテレビ), etc. I’m sure you might want to call up to make some reservations or go there early to queue up – Japanese style! (Source from its own website). All look like a great deal! Tell me if you have visited any branches!